At the recent New Zealand and Australia SharePoint Conferences I ran a session on what you need to know to build mobile apps for SharePoint. To follow up from these sessions I have decided to start a series of posts on some of these topics to help spread the word and hopefully help people get started. Part 1 – will cover how to authenticate with SharePoint using Forms authentication. Why forms? Well most Mobile platforms don’t support NTLM authentication out of the box (Windows Phone included) and so another authentication system is required. Also NTLM wont work over the internet which is where most mobile devices will be connecting from. Part 2 – will cover using REST and JSON to push and pull data in and out of SharePoint from your mobile app. Part 3 – will cover using Azure Service Bus to assist with connecting to on-prem SharePoint environments from a device on the internet. All without deploying additional hardware/software to your DMZ. I’m just calling it out as an option since its pretty nifty. Part 4 – securing your service bus connections to ensure only people you allow can connect to your data. All the posts will include full source and instructions so you can get cracking and try some of these things out for yourselves. Stay tuned for Part 1 in the next few days. 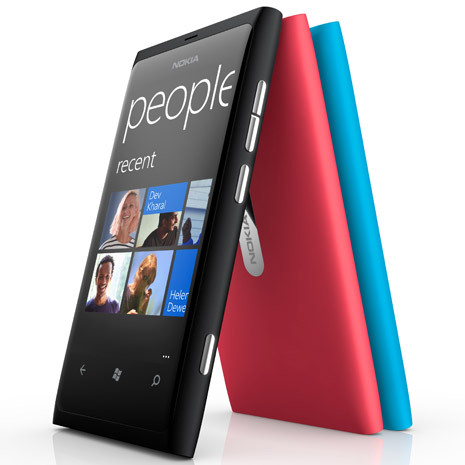 This entry was posted in Development, Mobility, SharePoint, Windows Phone on March 30, 2012 by Chris Johnson. I am very interested in the part 3 of your post, which I believe is still planned and you have not published it. “using Azure Service Bus to assist with connecting to on-prem SharePoint environments from a device on the internet.” my main problem here is that the RelayBinding is not available for .net framework 3.5 which is used by SharePoint. I would like not to call the SharePoint Web Services from my own web services rather use the Sharepoint object model to access the data from SharePoint. Yes, I am currently writing that post. I will be sure to cover the options available to you. apparently Microsoft.Servicebus.dll v1.0.0.0 should work with 3.5 but I am not sure how to get hold of it.